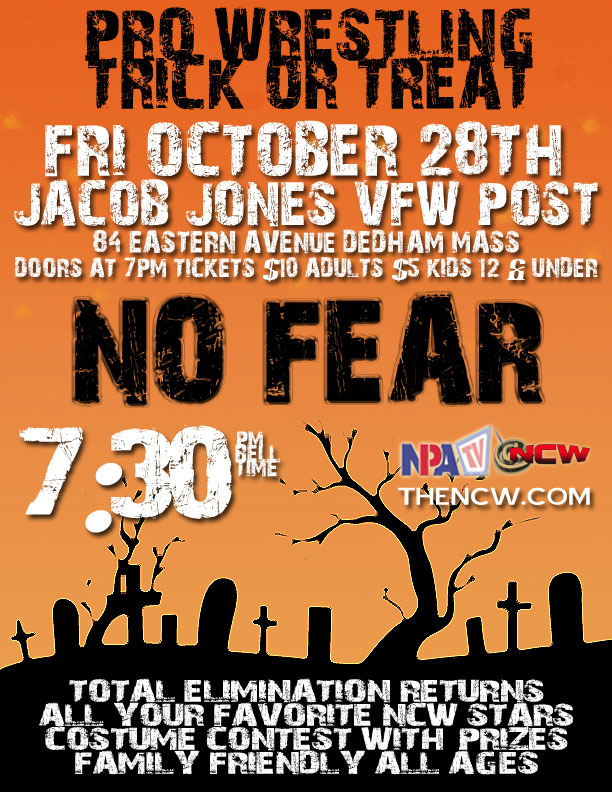 Join us TONIGHT in Dedham for NCW NO FEAR! 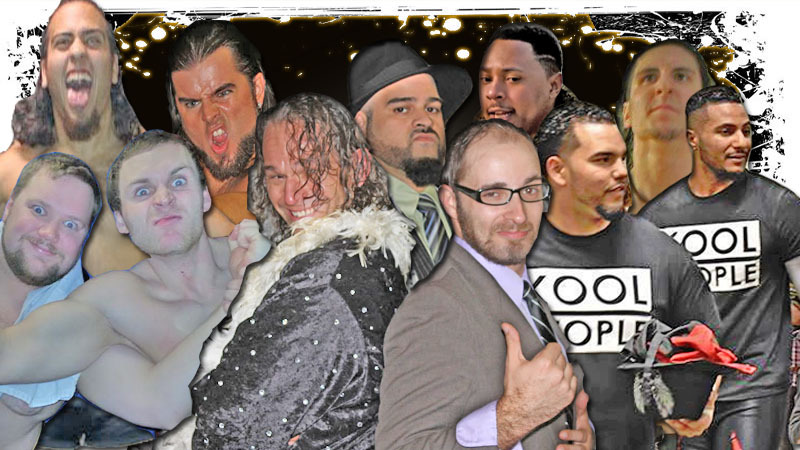 There are only two shows left in the NCW 2016 Season, and tonight we return to the Jacob Jones VFW Post in Dedham, MA (84 Eastern Avenue) for NCW NO FEAR! Doors open at 7pm with a 7:30pm bell time. There will be candy for the kids, and we encourage everyone to dress up for our Costume Contest that will be taking place during intermission! Tickets will be on sale at the door only $10 for adults and $5 for all kids twelve and under. In the night’s Main Event we will see the first ever Ultimate Elimination Match, a ten on ten challenge featuring “Sensational” Scott Levesque’s League of Levesque going up against Lumberjake’s NCW Union. The match will see the two teams face off against each other using standard tag team rules with elimination occurring with a pinfall, submission, disqualification and count out and allows a wrestler to enter the match when their tag team partner exits the ring as well as when they tag out. A special ‘batting’ order system is used in which the wrestlers are given a specific order and may only tag in and out in this order. The match will continue until only one team remains. PLUS “All Good” Anthony Greene will be in action and The Underground Anarchy faces off with The Turtles in Time in a four on four Total Elimination Match ! Like us on Facebook for updates and exclusive video from Facebook Live! 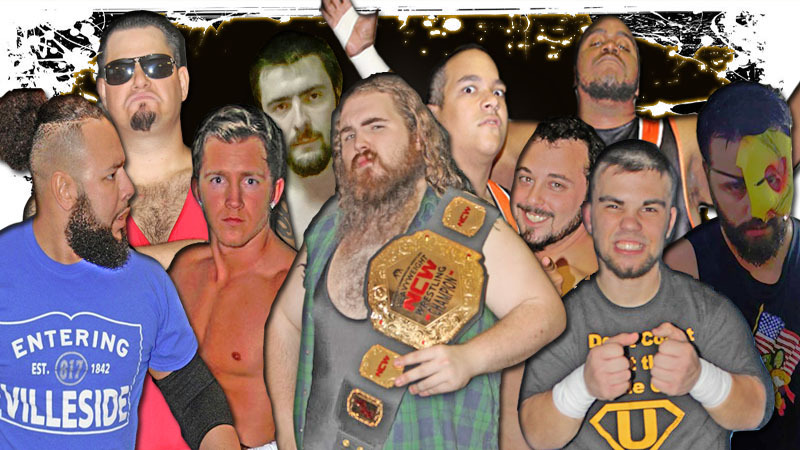 Follow us on Twitter @theNCWtweets and use the hashtag #NCWNoFear! Please e-mail theNCWonline@gmail.com for any questions regarding the show.